Norwegian multi-genre producer Phobium (Henning H. Ottesen) returns to Omnitropic, Ektoplazm‘s downtempo and ambient sublabel, with this elegant work of conceptual space music and deep trance. This is the story of the first manned mission to travel through the immense cloud that surrounds our solar system, the place where comets are born, the Oort Cloud. Mastered by Colin Bennun. MP3 Download | FLAC Download | WAV Download · Download count: 24,034. An interstellar travel, in body suspension, waiting to reach the chosen galaxy. Nice! This is an amazing album! The vibe is perfect. Reminds me of being in outer space or all alone in a beautiful desert landscape. Thank you for this wonderful journey into space and beyond ! Amazing vibe, outstanding, thk the artist ! great, really great, especially Towards Proxima Centauri. I really like it and a big thanks to the Authors. Well, this is a true gem. Thank you. Best release from Ektoplazm this year. In love with it. Track 5 is a masterpiece. Really nice, loved it! deep and quality atmospheres. Made me google what an oort cloud is! Keep it up!! this is release is great! it reminds me a lot of the early synthesizer-era (tangerine dream and the likes). therefore it stands out of all the other psy-chill releases (which are still very good! it’s just a different musical approach). 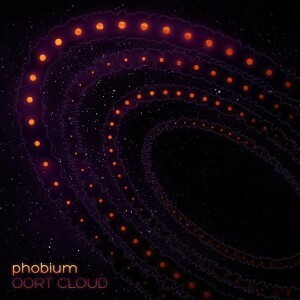 thank you very much, phobium! i will listen to your other releases soon! Ha sido un orgasmo de oidos, en especial el ante-último tema, 05 – Towards Proxima Centauri (101 BPM) es completamente armonioso, orgánico, viajero, etc. I absolutely adore this album – I downloaded a few months ago and it just keeps growing on me. Such depth, such space, such movement. Excellent. “Towards Proxima Centauri” est un putain d’orgasme cérébral, BRAVO ! Absolutely wonderful! Great release. Love it. Tx artist & Ektoplazm! This is one of the most beautiful albums I’ve ever listened to. Every piece is so incredible. ”Into the interstellar medium” made me feel I was floating in deep space seeing shifting constellations, so calm, so epic! I like this album so much, it reminds me of tangerine dream and other elder stuff, well done ! Such wonderful inspiring uplifting and relaxing music . . . I love it. Thanks for sharing with us, you’re a true hero. Blessings to you.